Just Say Goodbye is a film that aches. It’s a sensation that permeates every frame, from bruised knuckle, to tortured inner turmoil. It’s a film that deals with damage control, in particular amongst youth. And yet, if this all sounds like a thick slice of depression cake, you might find yourself in for a rude awakening. 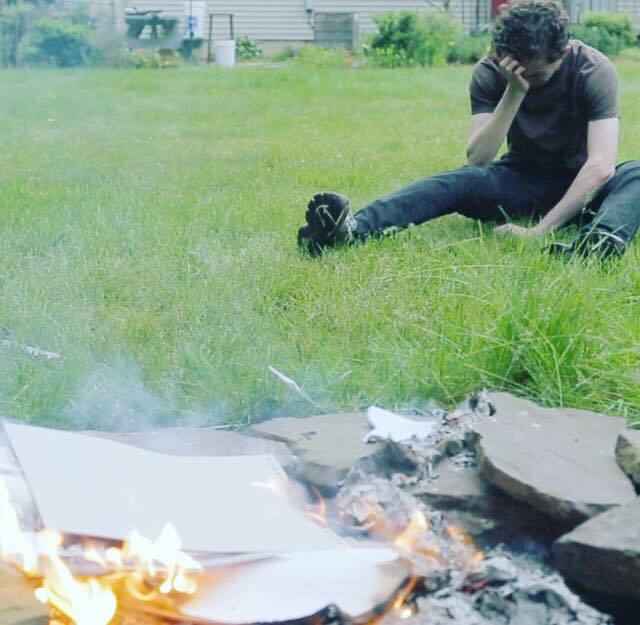 With a budget of $13,000, it is low to no budget, it stars unknowns and its director, Matt Walting, is so young that the whole endeavour should come across as an amateur exercise in drama or, God helps us, a student film. There is a maturity to the film making here that goes against the films humble roots, instead revealing itself to be a measured, thought provoking and often heartbreakingly honest depiction of youth, alienation and the fragility of life. 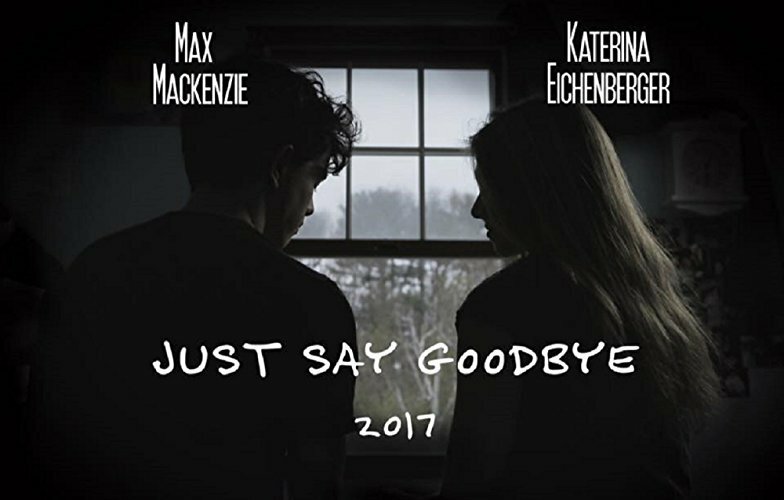 Just Say Goodbye is about a young teenage boy named Jesse (Max MacKenzie). Bullied at school, and barely able to maintain a relationship with his alcoholic father, he is the very definition of troubled. His mother committed suicide when he was young, and his interests are leaning in the same direction. In other words, he’s a boy in freefall, with the outcome looking just as bleak as his current existence. However, when Jesse tells his friend Sarah (Katerina Eichenberger) that he has decided to commit suicide, the story kicks into second gear, as Sarah makes it her mission to persuade Jesse that life is, indeed, worth living. There is a distinct realism to how this film has been constructed, from carefully edited close ups that tend to focus on the smaller aspects of Jesse’s family life, be it a bottle or a suicide note, to beautifully still moments in which the camera is more than content to just focus on our protagonists face. The dialogue is also a wonder to behold, screenwriter Layla O’Shea capturing perfectly the voice of this current generation, with an ear for the naturalism and familiarity that comes from true friendship. This feels personal, a portrait of teen life that is far removed from the stylistic leanings of, say, a film such as Juno. Lest one think that the subject matter makes the film in any way heavy handed. On the contrary, there is a healthy strain of humour, not to mention optimism, to be found within the films dark premise. The performances, too, are impeccable. MacKenzie is unafraid to lay out Jesse’s deep vulnerability, while Eichenberger gives Sarah just the right strain of charm, grace and old-soul intelligence. If you’re going to have an angel looking out for you, she’s the one you would want. Visually, it is lyrically shot, using hand held when appropriate, or allowing the camera to glide with the action, be it Jesse’s alcoholic father staggering through the trees at night, or Sarah happily allowing the wind to blow through her hair as she rides her bike. Director of photography Jeff Simons brings a light and colourful feel to proceedings, as if the world around the characters is in direct counterpoint to what they are going through. Whether this is merely coincidence, or a rich metaphor is really dependant on the viewer, but it works, nonetheless, adding yet another layer to an already deeply symbolic story. In a film that tackles such themes, every burst of colour counts. Just Say Goodbye succeeds where many films of its type fall down. Like a grittier, less surreal cousin to Me, Earl and the Dying Girl, it keeps sharp focus on the characters, neither short changing them, nor allowing for things to be wrapped up neatly come the end credits. It’s all in the details, as good film making should be. Just Say Goodbye is currently on the festival circuit.